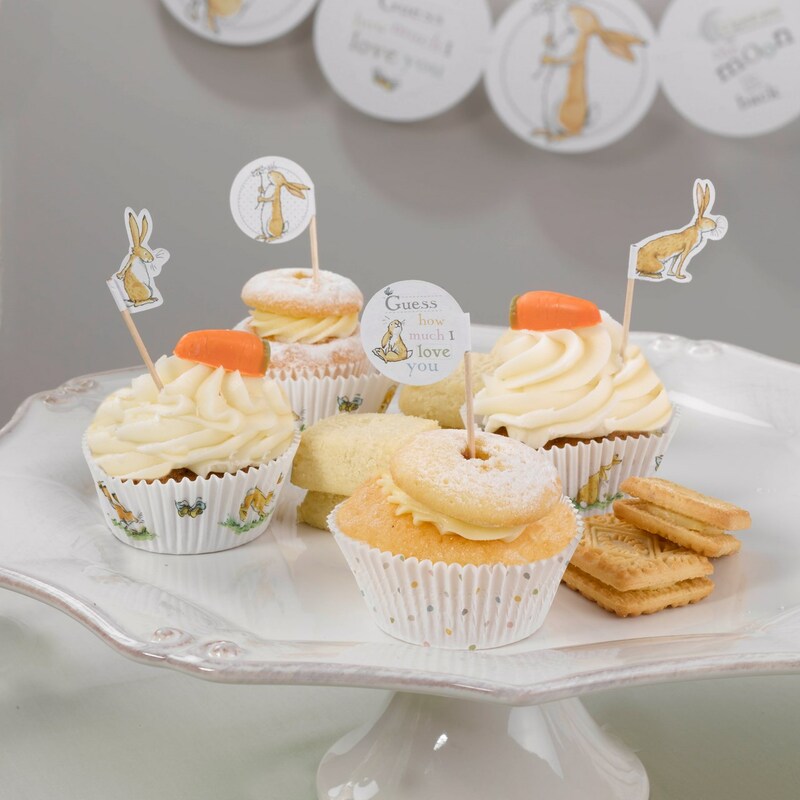 Capture the charm of ‘Guess How Much I Love You’ and delight your guests with lovely tableware and cake accessories, including these pretty cupcake picks, featuring original illustrations from the much-loved book. Featuring a mix of four designs; two round designs, featuring Little Nut Brown Hare and the book’s logo, and two hare-shaped designs; one of father hare and the other of his little companion. Each pack contains 20 Cup Cake Picks, 4 designs.